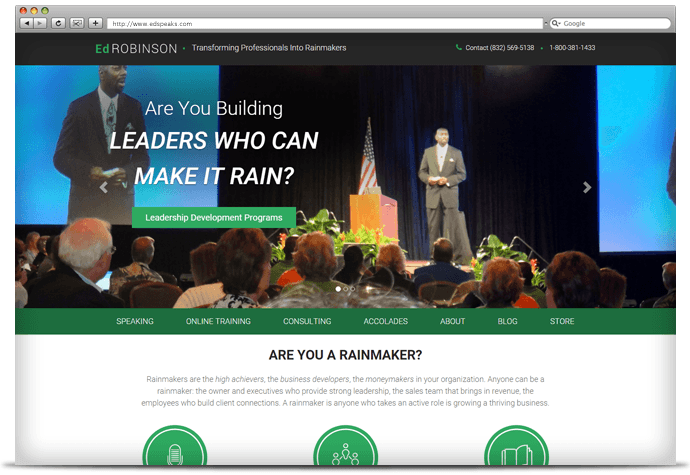 Keynote speaker and business growth expert Ed Robinson transforms professionals into rainmakers! 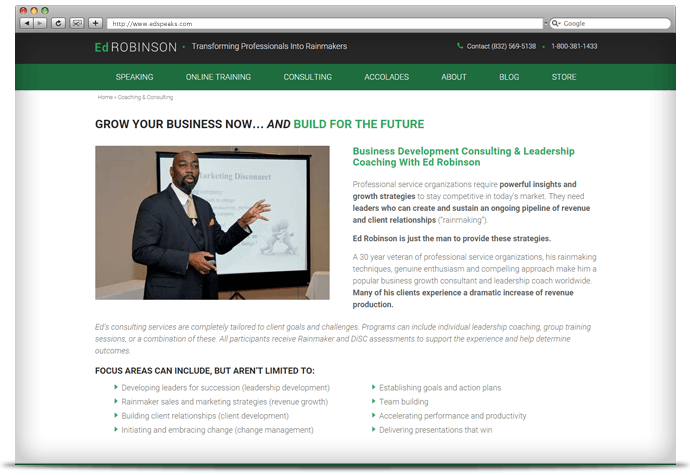 A thought leader in leadership development and sales, he is sought after globally for his rainmaking techniques and business growth strategies. In fact, he’s shared his insights with hundreds of leading organizations in more than 35 countries. 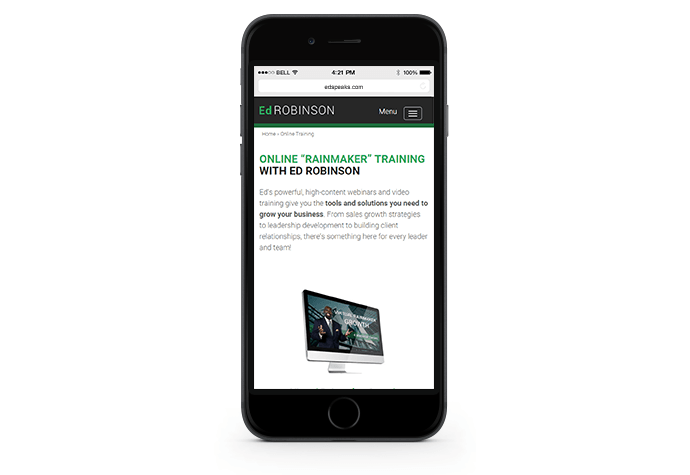 Ed came to us for a fresh, modern new Website that was fully responsive (he previously had two separate sites for desktop and mobile). Ed also wanted to integrate new sales funnels for online training and an online store for books and training materials. We were thrilled to have Ed visit us here at PCG to strategize in person! 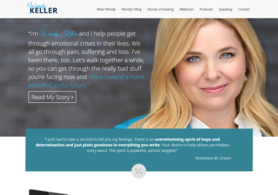 We began with a complete restructure of the site navigation, with the goal of making all services immediately visible and accessible within one click. 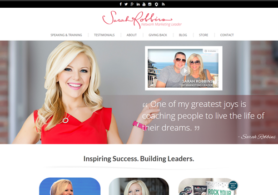 The Website design followed this lead, with clean and intuitive page layouts. Logos and testimonials were woven throughout, showcasing Ed’s status as a go-to expert across many industries. The end result? 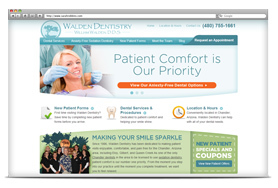 A sharp, high-caliber Website that communicates Ed’s tremendous wealth of knowledge and services.